An abortion survivor will share her inspirational story at this year’s March for Life in London. 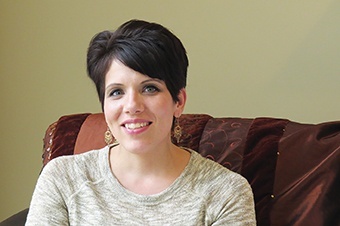 When Melissa Ohden was just 14, she discovered that she had never been intended to live. Faced with an unplanned pregnancy as a student, Melissa’s birth mother had been pressured into a termination – and was not told Melissa had survived the procedure, a saline infusion to kill the baby in the womb. A nurse saved Melissa’s life after hearing her tiny cries as she lay among the hospital’s medical waste. She was later placed for adoption. As a result of her experiences, the American campaigner founded the Abortion Survivors Network in 2012 and now speaks up for women, men and children affected by abortion. The mother of two, who is now 41, is passionate about getting the Church to be “proactive” in addressing abortion, citing a shocking US survey that found that 70 percent of women who had an abortion self-identified as Christians. “We need to have honest discussions about choices that are harmful, but also give grace and love to those that are engaging in them,” Melissa told HEART. Melissa will be speaking at London’s pro-life festival Lifefest 2019 on 11 May ahead of March for Life’s parade through Westminster with the message ‘Life from conception, no exception’.